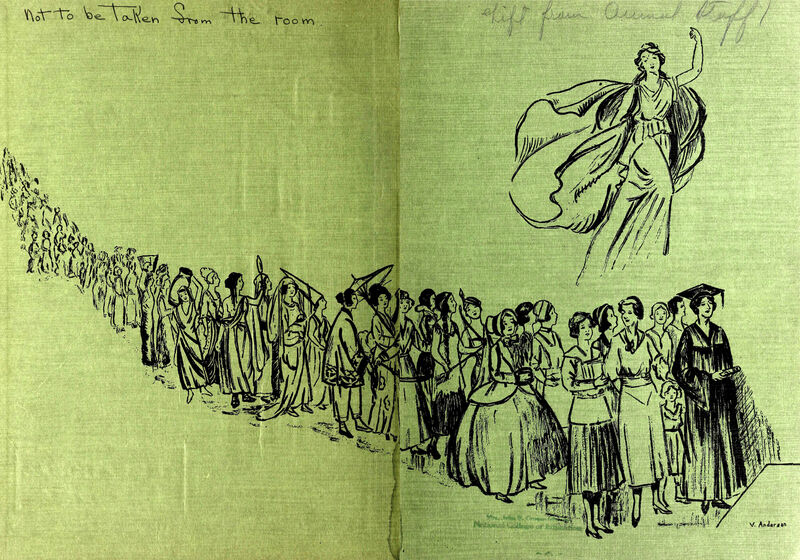 The endpapers from East Carolina's 1934 yearbook. 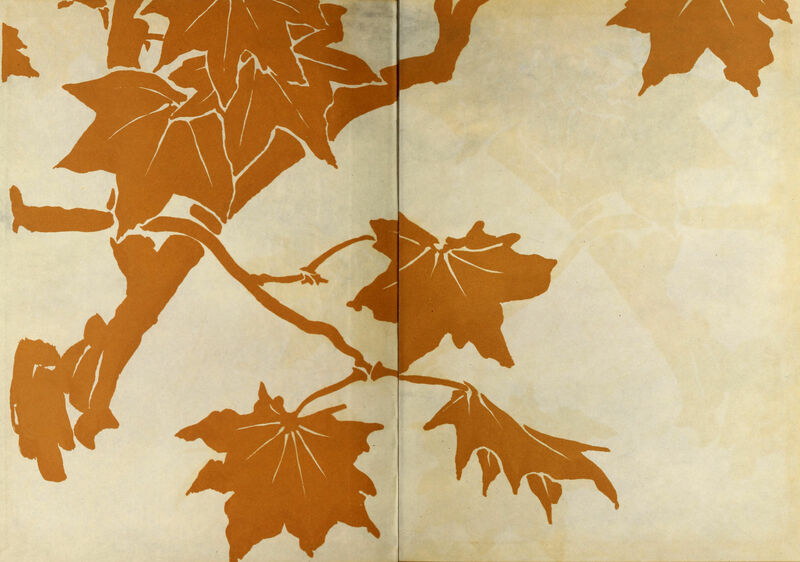 The endpapers from University of the South's 1977 yearbook. 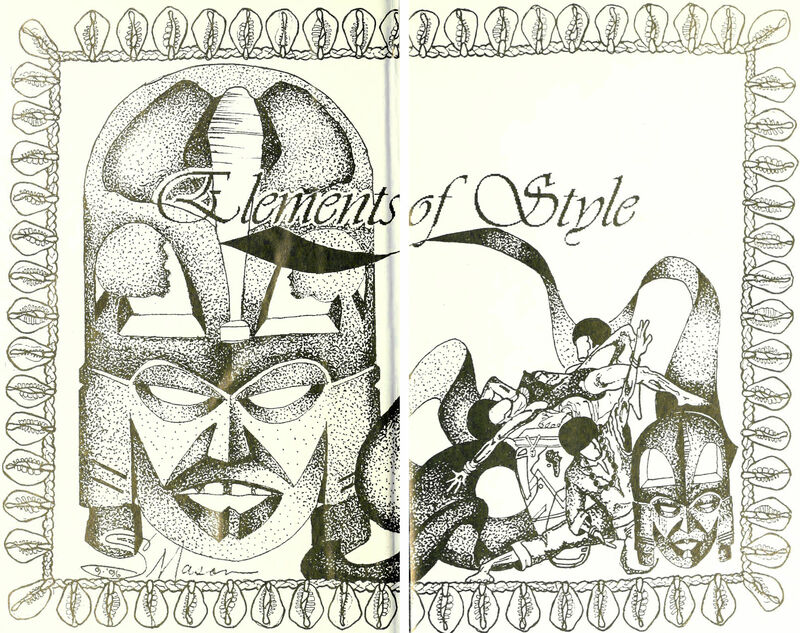 The endpapers from Lakeview's 1973 yearbook. 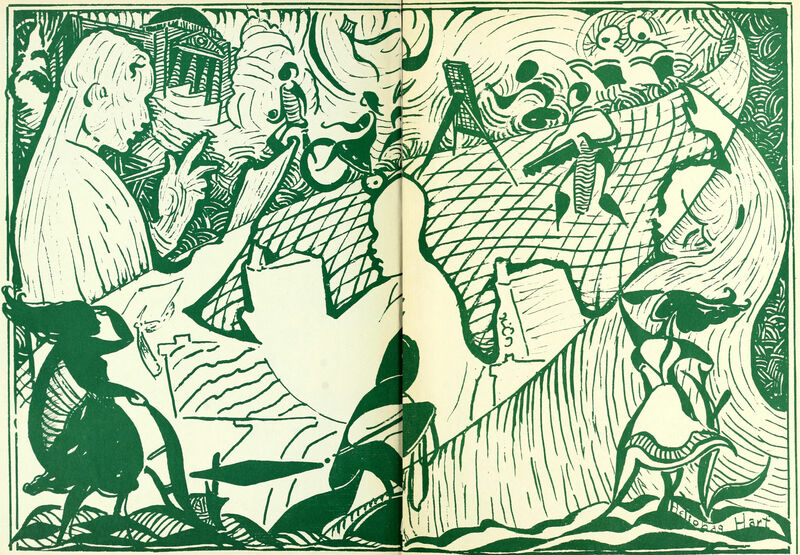 The endpapers from Swarthmore's 1951 yearbook. 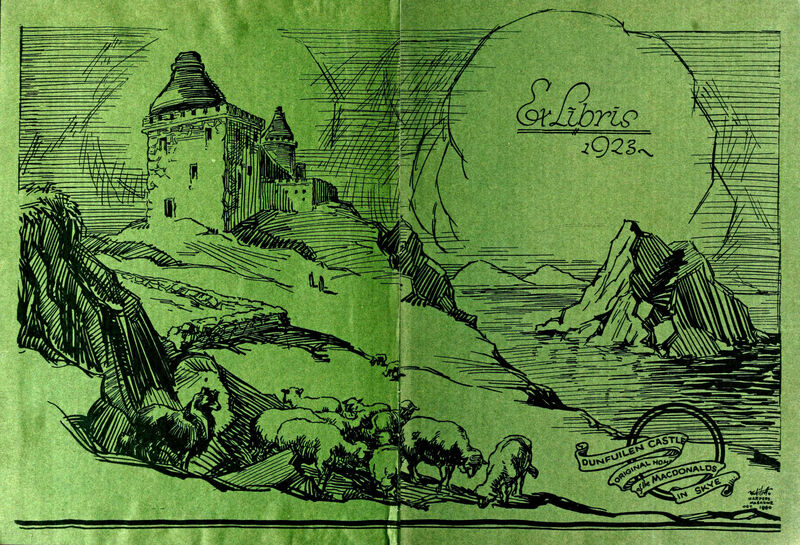 Dunfuilen castle endpapers from Flora Macdonald's 1923 yearbook. 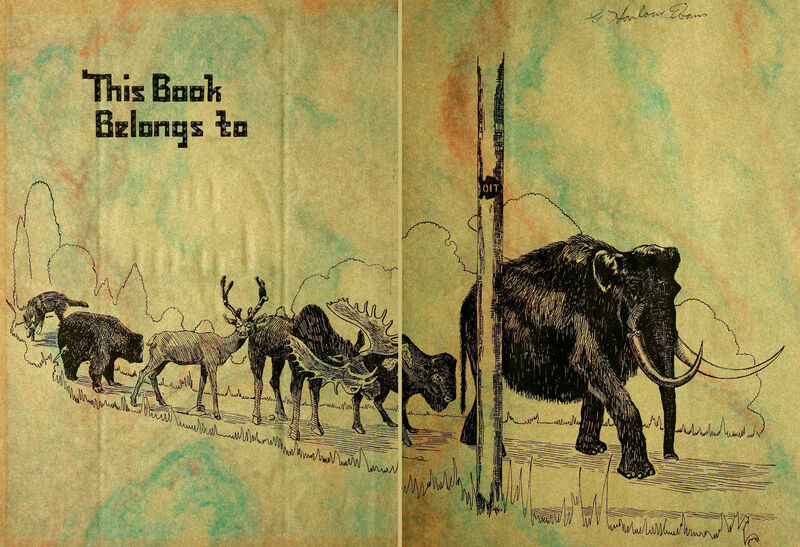 The endpapers from Rockford's 1929 yearbook. 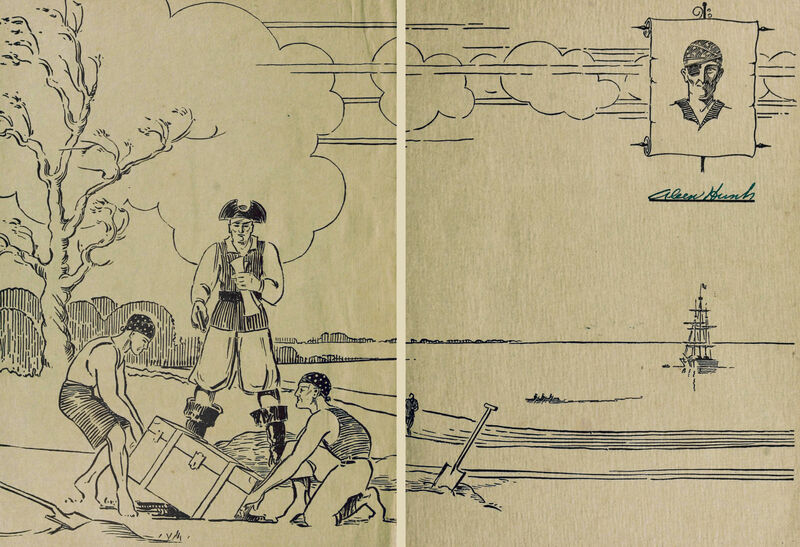 The endpapers from East Carolina's 1933 yearbook. 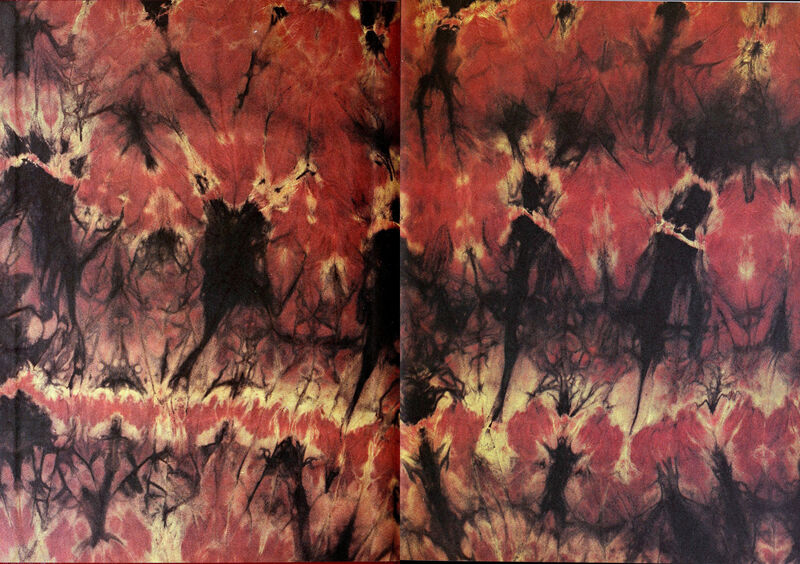 The endpapers from Pfeiffer's 1971 yearbook. 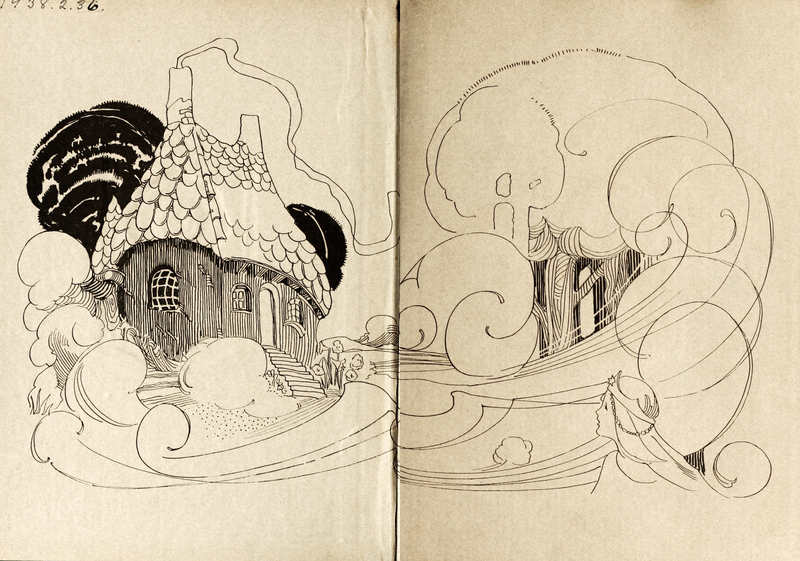 The endpapers from Greensboro's 1926 yearbook. 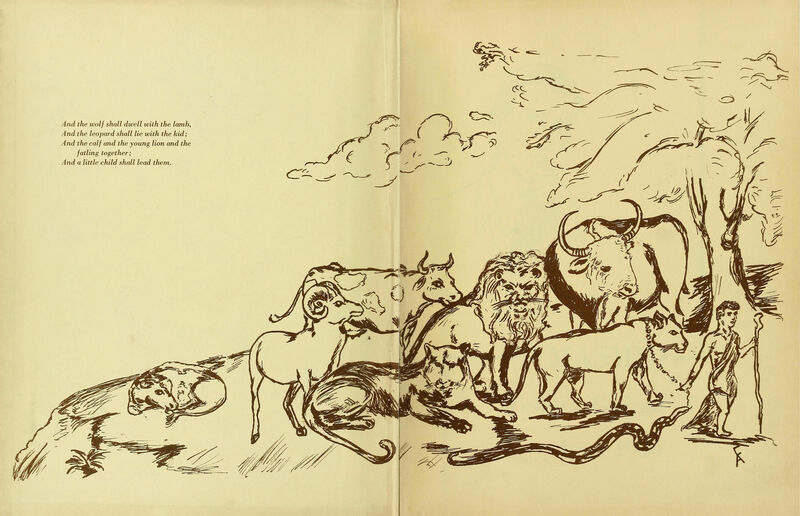 The endpapers from Barnard's 1929 yearbook. 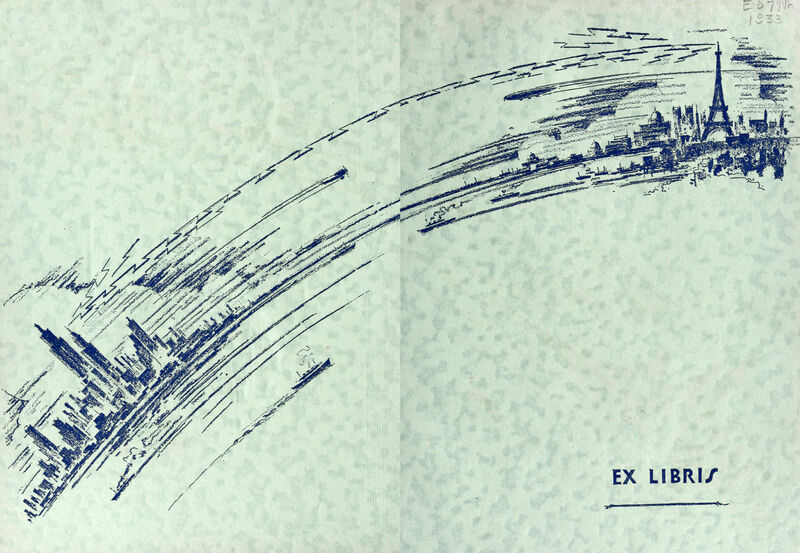 The endpapers from Chicago State's 1951 yearbook. 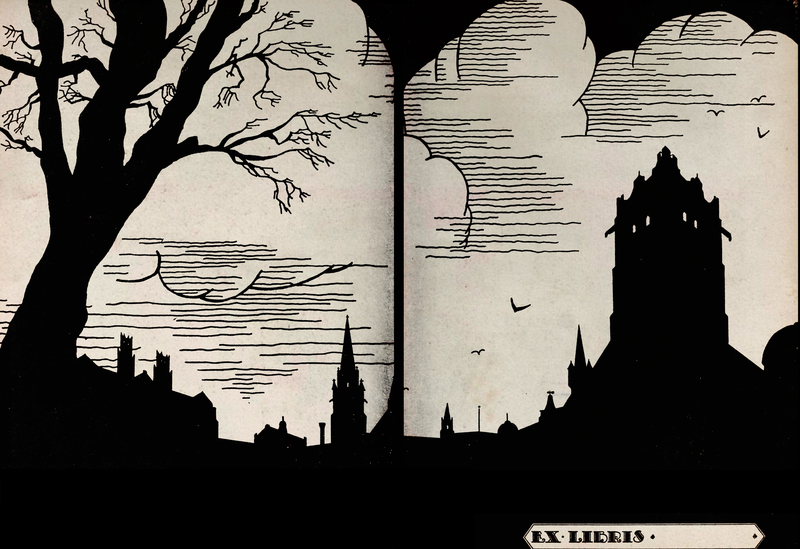 The "weight of time" that we feel in every breath looms upon us from the clock tower in the sky. 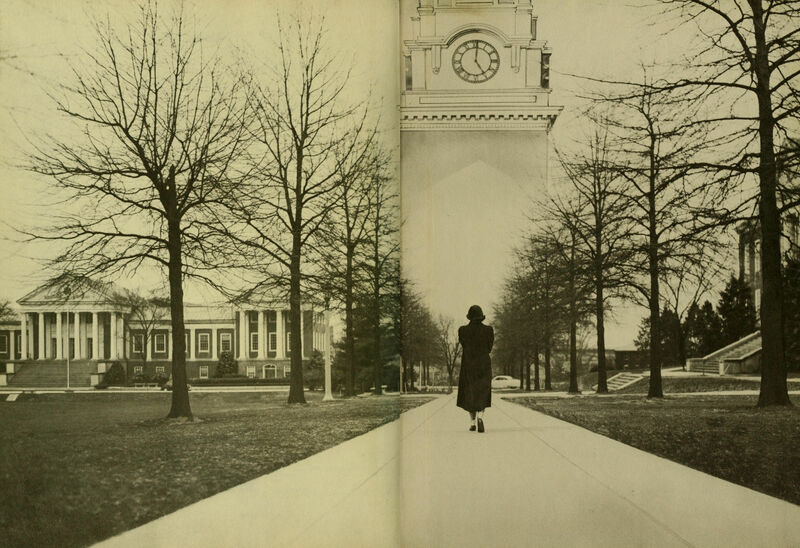 It's there, no matter which way you turn, as proven by the endpapers of the University of Maryland, College Park yearbook of 1952. 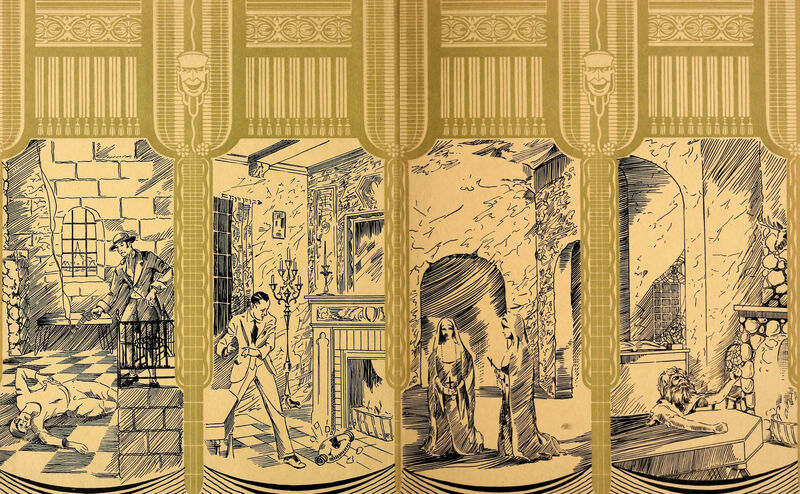 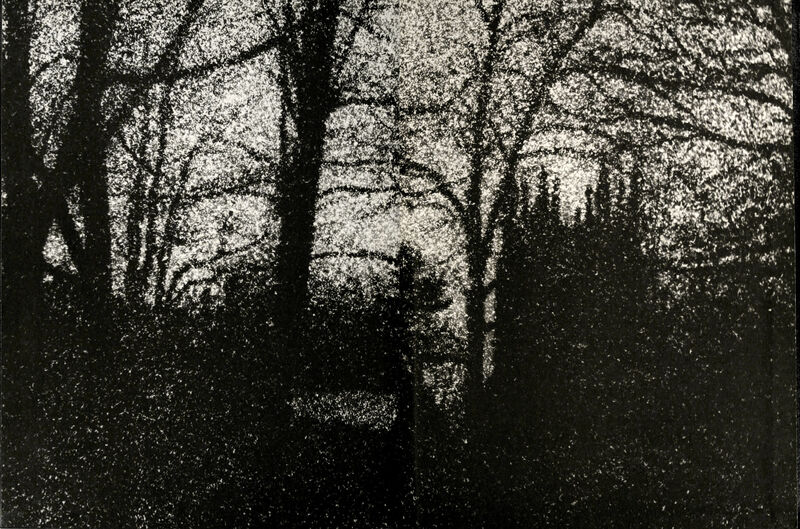 The endpapers of Lehigh's 1931 yearbook. 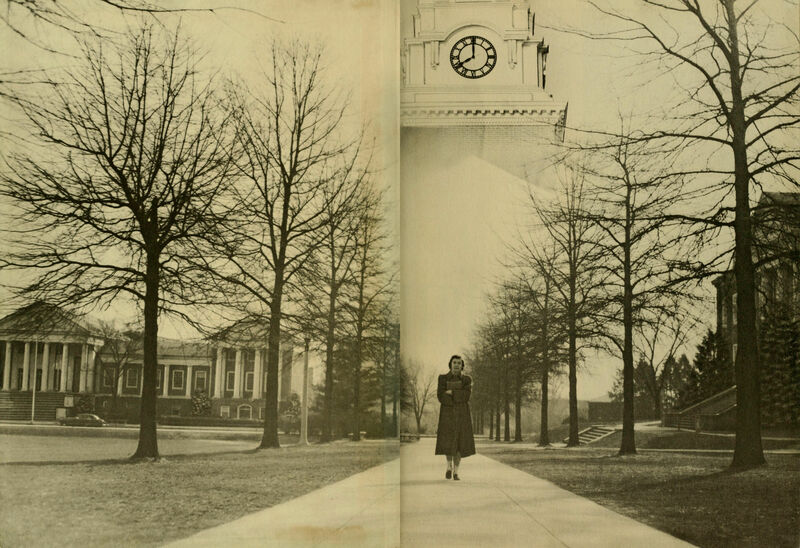 It really starts with a bang in Kent State's 1932 yearbook. 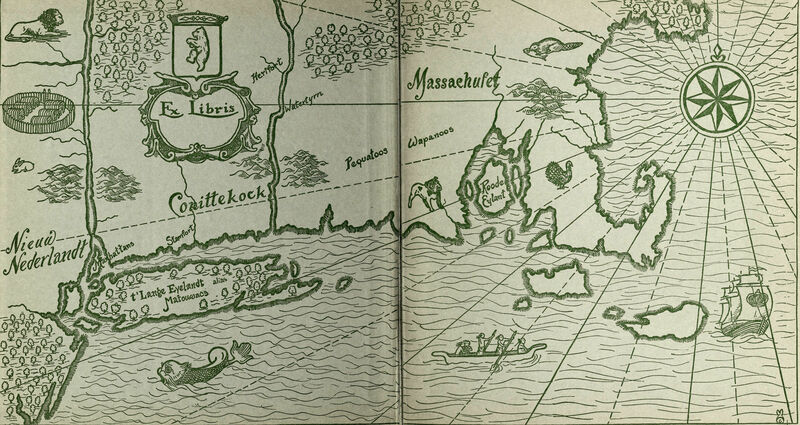 Gunshots, a priceless vase broken, conspiring nuns, and a body emerging from a coffin! 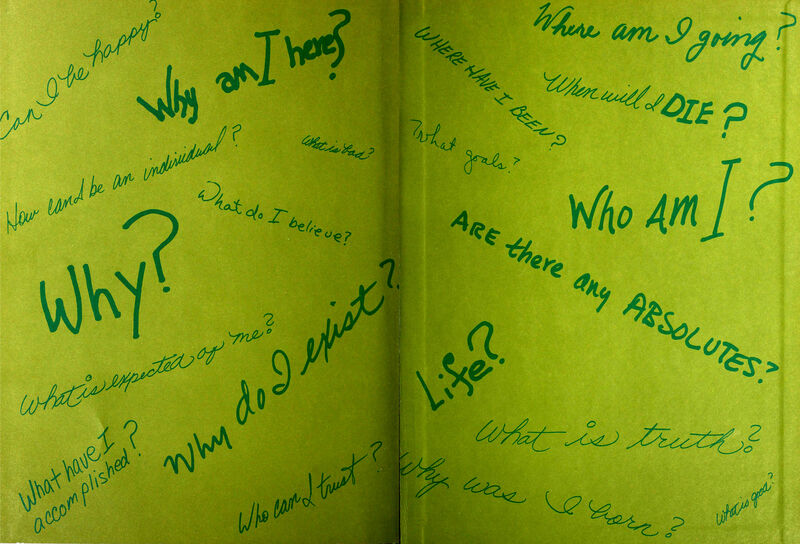 The endpapers of Cowley College's Tiger yearbook of 1972 ask all the major questions of life. 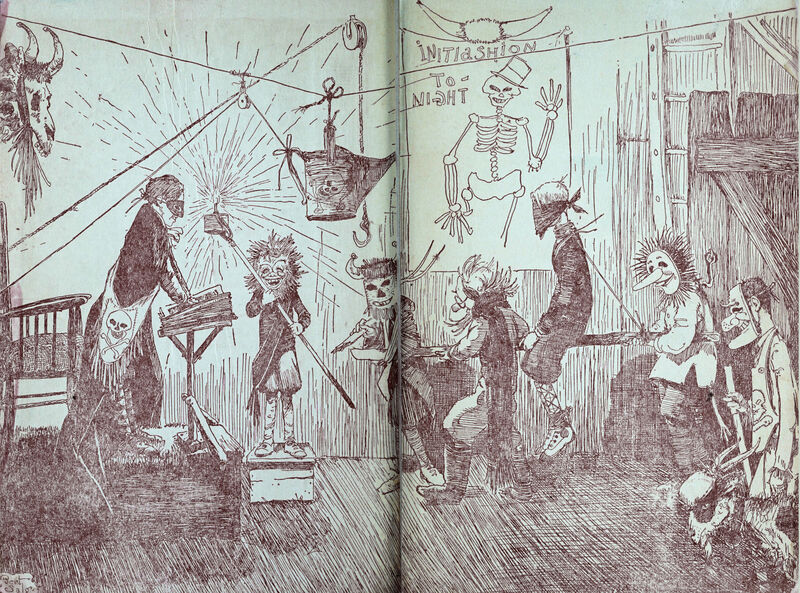 From the 1910 yearbook of the Chicago Normal College.